People and Talent are hot topics for early stage companies growing quickly in this culture-focused workforce. How do you recruit the best talent? What tools can companies utilize to build diverse and powerful teams? How do you maintain culture and shape company values? Leading up to the Bowery Capital People and Talent Summit, cred worked with speakers to create sessions built around answering these questions. Speakers and panelists included leaders from Rent The Runway, Button, WayUp, The Muse, Justworks, and others. 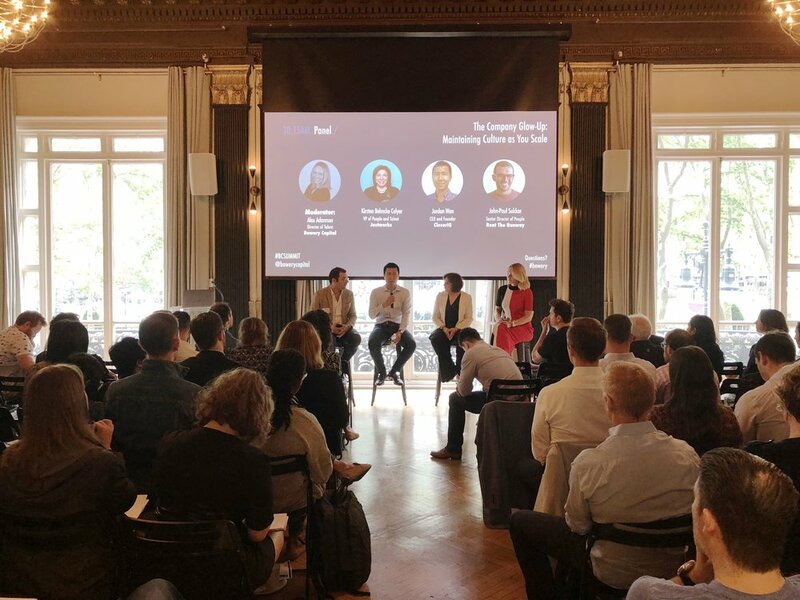 WeWork Bryant Park was packed on Thursday, June 7 as the morning started off with a tactical chat by Nikki Goldman of I/O Coaching and WayUp explaining how to build an effective Values Playbook for your company. Following her was a dynamic presentation by Jacqui Maguire of Greenhouse about structured hiring. Kirsten Behncke Colyer of Justworks, Jordan Wan of CloserIQ, and John-Paul Sukkar of Rent The Runway rounded out a panel called The Company Glow-Up: Maintaining Culture as You Scale. They were followed by the panel: Tools of Engagement: Tools and Data in the People Space, featuring Ilya Usorov of day100, Jennifer Williams of Drive Change, Inc. and John Erban of Axiom. Panel discussions explored the data points that are worth focusing on and the resources that can be used to measure outcomes. 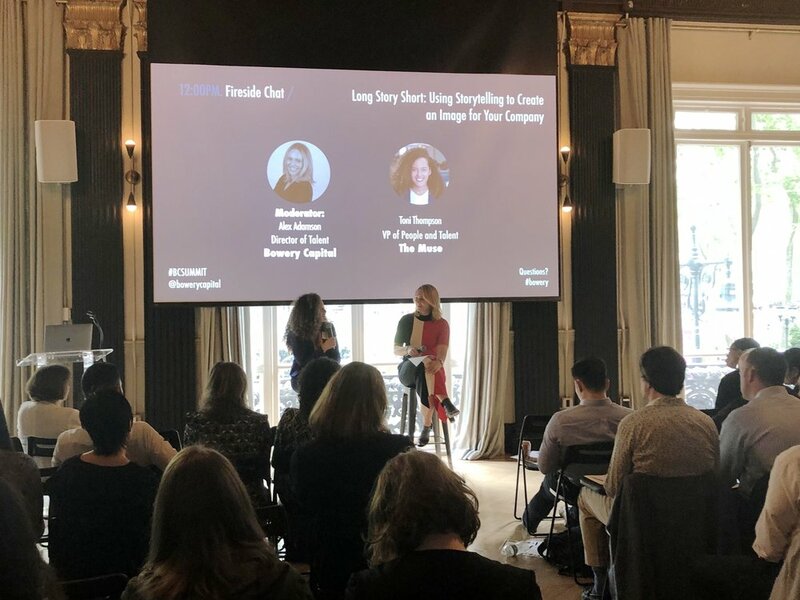 To finish off the summit, Stephanie Mardell of Button taught on how to put ideas into action to sustain diverse and inclusive company growth, then Toni Thompson from The Muse explained the importance of using storytelling to create an image of your company. This was the second installment of Bowery Capital’s Quarterly Leadership Series this year. Join us in New York on October 11 for the Finance and Ops Summit! If you’re interested in updates on that event, or want to hear more about what we do at cred, email us: hello@credpr.com.